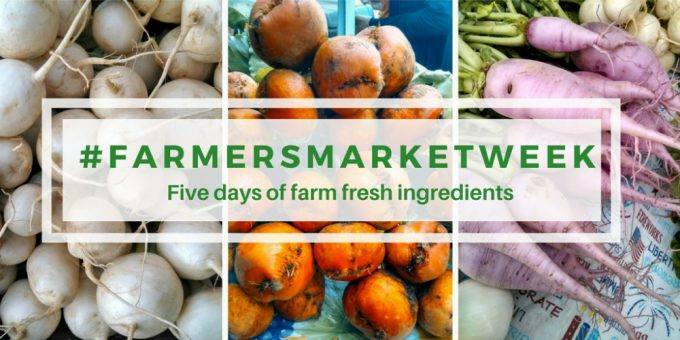 It’s the final day of #FarmersMarketWeek! I hope you’ve enjoyed the recipes I and the other bloggers have shared with you. A couple of years ago I went to a cookout my cousin hosts for the Fourth of July. 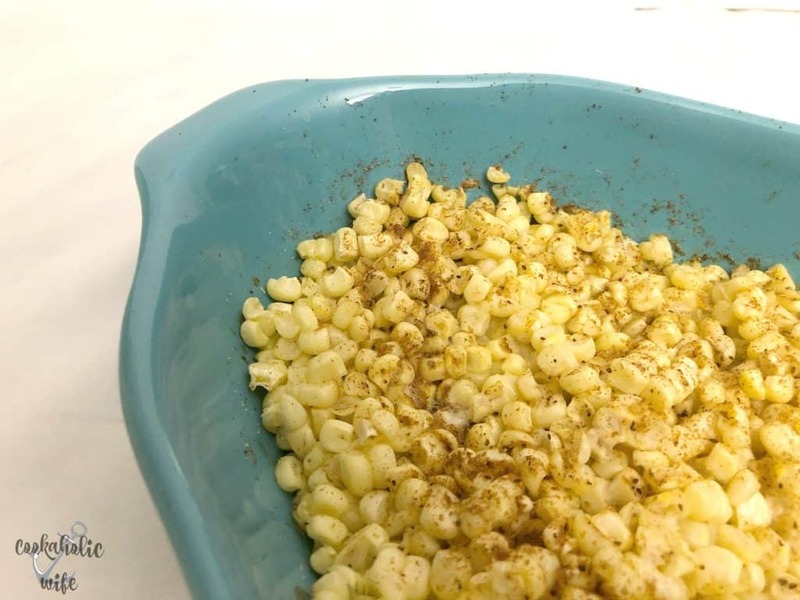 One of the dishes there, that her boyfriend had made, was corn with Old Bay seasoning. It’s such a simple recipe, only using three ingredients that I’m jealous I never thought of it myself. On the Eastern Shore of Maryland, there are miles and miles of corn fields. We produce some of the best, sweetest white corn that you can find anywhere on the east coast. When corn comes into season here, the stores first start off with yellow corn, then move to bi-color corn, and the around the middle of the summer, there’s white corn everywhere. Personally, I don’t think there is anything better and one year, I’m going to plan far enough ahead to empty out my deep freezer and fill it with white corn sliced off the cob. 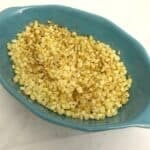 A quick and easy recipe using just three ingredients that makes the perfect side dish for any summer recipe. 1. Preheat the oven to 350 degrees. Spray a 4 quart casserole dish with cooking spray. 2. Place a small bowl inside of a large bowl. Place an ear of corn on top of the small bowl and slice off the kernels with a sharp knife, rotating the cob to remove all of the kernels. 3. Repeat with remaining ears of corn, then sift through the corn, removing any silk that may have been missed. 4. 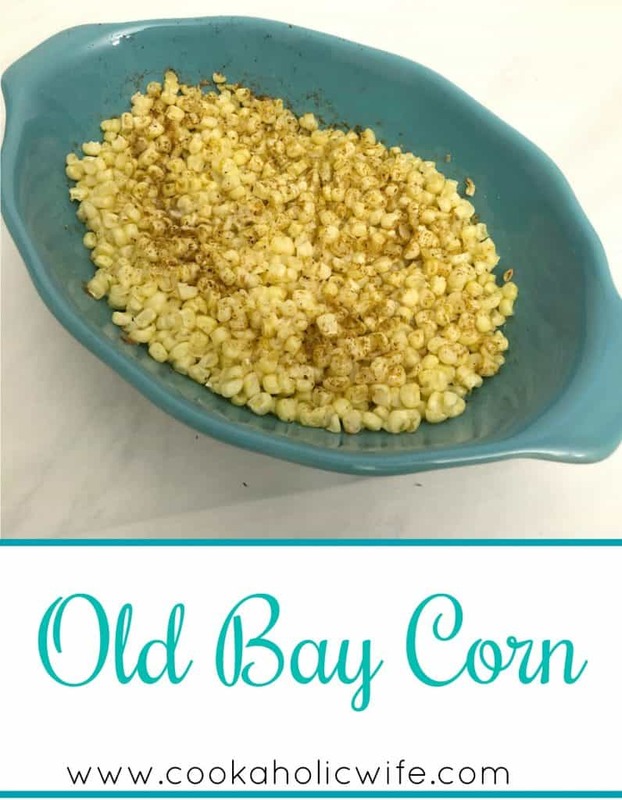 Season the corn with the Old Bay and toss to coat. 5. Transfer the corn to the prepared baking dish. Cut the butter into thin slices and place on top of the corn. 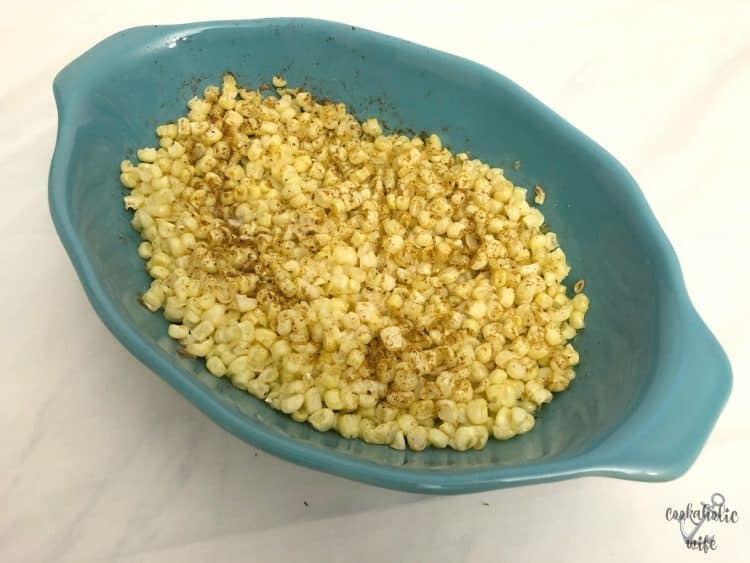 Frozen corn can be used in place of fresh if you’re making this out of season. Leftover cooked corn on the cob can be used, but reduce the cook time by 5 minutes. It doesn’t get much easier than that does it? This easy corn recipe goes perfectly with pretty much anything. Serve it along side some steamed crabs, next to a grilled steak or chicken breast or even a pork loin. It’s great with other seafood as well!